Refreshingly Different… Thinking of Selling your home or just interested in a valuation? please contact us to book in today. Being a completely independent estate agent we build our business on providing a second to none service, customer satisfaction and client recommendation. This simply would not work without communication, honesty and integrity at the heart of every transaction. We are property experts in our local area covering the Poole area including upper and lower Parkstone, Newtown, Alderney, Canford Heath and the BH12 postcode area. If you need help selling or renting out your home, then our estate and letting agents can provide all the assistance you require from property valuations, advice and more. With that in mind we are passionate about working differently to other estate agents you may have dealt with previously. With customer satisfaction and service at the heart of our business model we are available for our clients 7 days a week and will always strive to respond to any queries at any time. We know that moving house can be a stressful process, however also know that it does not need to be. We aim to be on hand at all times to go that extra mile to ensure you achieve the best price, in the shortest time, with the least amount of hassle. If our estate and letting agents can help or lend advice on anything property related, then please do not hesitate to get in touch with our team today. 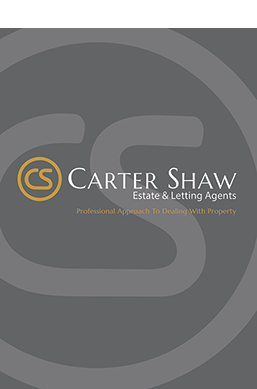 Carter Shaw take care of the lettings of all of my properties, I highly recommend them and trust that when work needs doing they get the best price for me, rents are collected on time and they find the right tenants for the property causing a hassle free process every time. Good communication with me from start to finish, email, mobile, text. Good Communication link with the Purchaser, both Solicitors, Tennant, myself. I was looking for a quick sale and it was achieved it in the end. Their will always be hold ups in a chain its just working through them and keeping the momentum going. If we are all Communicating then everyone in the chain knows what’s happening and expectations are met. Keep up your quality customer service level and best luck in your 2nd year. Good communication with me from start to finish, email, mobile, text. Good Communication link with the Purchaser, both Solicitors, Tennant, myself. Very professional. I was looking for a quick sale and it was achieved it in the end. Their will always be hold ups in a chain its just working through them and keeping the momentum going. If we are all Communicating then everyone in the chain knows what’s happening and expectations are met. Keep up your quality customer service level and best luck in your 2nd year. Great service from Rob at Carter Shaw - even though they were the Vendor's estate agents, they kept me informed every step of the way and treated me like I was also their client. I would highly recommend them and will be back to use them in the future when I come to sell!! Thank you so much for all your help. George and Rob were fantastic throughout the buying process. They kept in contact regularly, provided any information I needed and made the process as straight forward as possible. I appreciated their honest and professional approach - I would definitely recommend Carter Shaw, Parkstone. Thanks for all of your help in buying my first home. George and Rob were fantastic throughout the buying process. They kept in contact regularly, provided any information I needed and made the process as straight forward as possible. I appreciated their honest and professional approach - I would definitely recommend Carter Shaw, Parkstone. Thanks for all of your help in buying my first home. Robert and George put our faith back in estate agents.. Professional not pushy realistic both in terms of selling price and timescales (full asking price 1st day of viewings) but as importantly their communication lines and keeping us informed we're 1st class a real plus.. We recommended our neighbour to them as like us knew they would be looked after. A dynamic & experienced team at Carter Shaw. They went out of their way to ensure my house move went smoothly. Rob and the team at Carter Shaw were truly brilliant and made the very stressful experience of selling our property much easier. Rob went out of his way to keep me informed at every stage and nothing ever seemed like too much hassle. I would highly recommend Carter Shaw to friends and family! After using one agency to sell my property without getting anywhere for 2 months, I got impatient and signed up 2 other agencies including Carter Shaw to see what they could do. I was reluctant at first because I figured all buyers would use Rightmove anyway. One of the new agencies was useless with no communication and no viewings, but within an hour of speaking to Robert from Carter Shaw I had 2 viewings set up, many more over the next few days and a solid offer in the first week which we managed to exchange and complete on in under 6 weeks. I don't enjoy working with agencies because of all the nonsense that usually comes with it, but Carter Shaw was refreshingly hassle free, professional and acted with the urgency and pride in their work that you would want from someone selling your house on your behalf. What separates them from the rest is that they clearly care about their work and enjoy what they do. After using one agency to sell my property without getting anywhere for 2 months, I got impatient and signed up 2 other agencies including Carter Shaw to see what they could do. I was reluctant at first because I figured all buyers would use Rightmove anyway. One of the new agencies was useless with no communication and no viewings, but within an hour of speaking to Robert from Carter Shaw I had 2 viewings set up, many more over the next few days and a solid offer in the first week which we managed to exchange and complete on in under 6 weeks. I don't enjoy working with agencies because of all the nonsense that usually comes with it, but Carter Shaw was refreshingly hassle free, professional and acted with the urgency and pride in their work that you would want from someone selling your house on your behalf. What separates them from the rest is that they clearly care about their work and enjoy what they do. They sold my flat on the first viewing an for full asking price, very professional; couldn't be happier. Very friendly and helpful, pleased I was selling with them. I will definitely use their service again and refer them to a friend. I received An excellent service from Carter shaw and from George Lawrence who dealt with the viewing and purchase of property in a professional and efficient manor. I would recommend this estate agent to anyone. I received An excellent service from Carter shaw and from George Lawrence who dealt with the viewing and purchase of property in a professional and efficient manor. I would recommend this estate agent to anyone. George from Carter Shaw has been absolutely super from start to finish in the process of selling my property. I found him to be totally professional & a geniuinely friendly & nice man. He listened to me & helped me through the whole process. Rob was also lovely & proffessional. What a great team, I can't recommend them more highly. "What a great team, I can't recommend them more highly." George and Rob provided an excellent service when we sold our house recently. I never felt that they were too busy to talk to me (as I have with other agencies) and felt they had were both genuine and professional at all times. George was the primary agent for our sale and did a great job, we did also deal with Rob on occasion who was always fully up to speed on the situation and happy to help us out. Thanks to them both. A neighbour recommended Carter Shaw to me and I am so pleased to have acted on it. Not holding a high opinion of Estate Agents, I was delightfully surprised by the professionalism and attention I got from Matt and George. When showing viewers around my property they were knowledgeable on my house and the neighbourhood, which has not been the case with different agents previously. Their presentation of my property on paper and on-line was to a high standard and with a care to detail. We had three offers and accepted one - moving in the very near future. We are currenty offering competitive fees on Sole and Multi Agency Contracts, with no lengthy tie ins, no upfront costs and professional standard photography to help sell your home free of charge, please contact us today for more information.